One of the Cosmogenic Laboratory’s international projects examines the impact of humans on the Cuban landscape. This project is supported by the U.S. National Science Foundation, and the University of Vermont collaborates on the project with Oberlin College and Centro de Estudios Ambientales de Cienfuegos in Cuba. 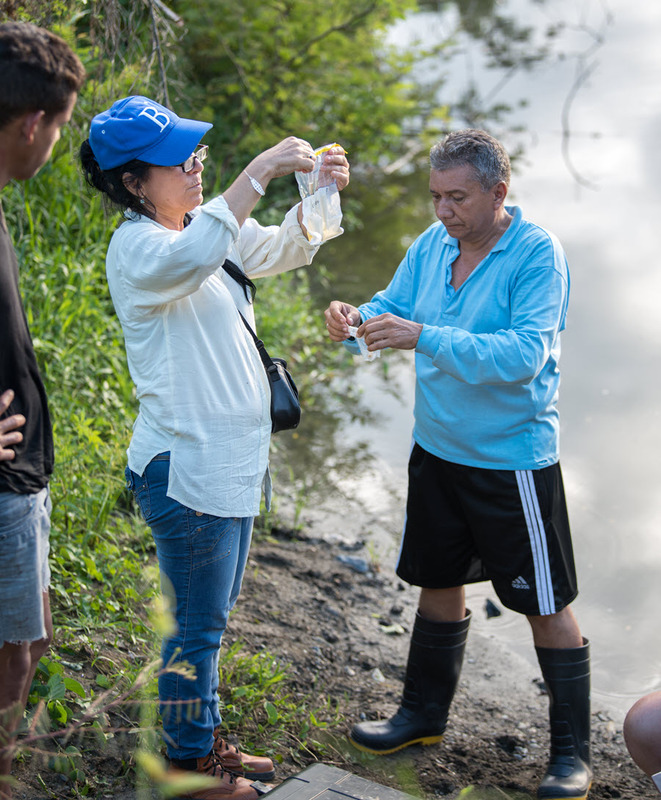 The goal of the project is to examine how changes in Cuba’s agricultural systems that occurred after the fall of the Soviet Union impact erosion and water quality. These changes entail the conversion, in part and by necessity, from more to less mechanization, fertilization and pesticide use. The Cosmogenic Laboratory had been analyzing sediment and water samples for basic water quality parameters including dissolved oxygen, conductivity, temperature and pH. Laboratory measurements were made at the University of Vermont, Middlebury College, Oberlin College, the Vermont State Laboratories, Purdue University and Williams College. A challenge to this lab-based testing was getting sampling permits in Cuba and obtaining permission to remove samples from Cuba for lab analysis in the USA. 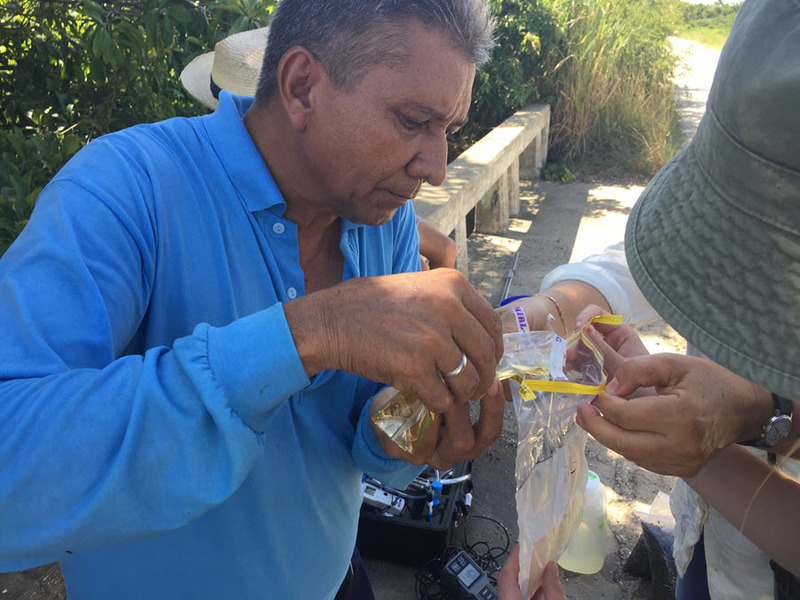 To avoid these roadblocks, the Cosmogenic Laboratory needed an easy way to conduct microbial water quality testing in the field in Cuba without having to transport samples to the USA for analysis. The Cosmogenic Laboratory selected the Aquagenx CBT E. coli Kit for on-site water quality testing in the field in Cuba. 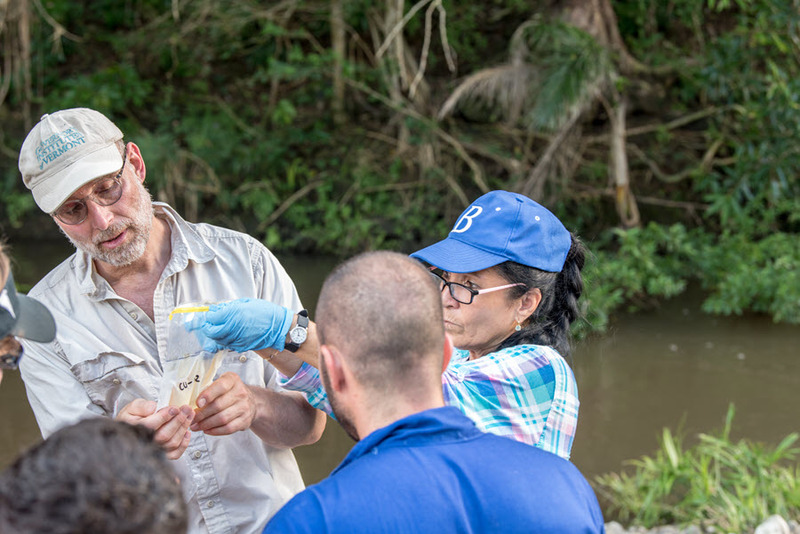 They used the CBT E. coli Kit to collect and analyze samples from 24 Cuban rivers and ran CBT samples with a 1:10 dilution to increase sensitivity of the test for surface water. The Lab’s field team simultaneously collected daily field blanks of dilution water. The field blanks were blank and the rivers all had higher levels of E. coli. River water test results ranged from Most Probable Number (MPN) of 47 E. coli/100 mL to >1000 E. coli /100 mL. Test results differed spatially, with the highest E. coli levels mostly in agricultural areas. Most waters had significant E. coli levels and presented a health risk. The Cosmogenic Laboratory is continuing to work with other scientists to try and specify the E. Coli in order to determine its source. There are plenty of animals such as horses and cows in the streams, but E. coli sources might also be raw sewage, as sewage treatment is limited in Cuba. Paul Bierman is a Geomorphologist at the University of Vermont’s Cosmogenic Laboratory. He says, “The Aquagenx CBT E. coli Kit is wonderful. It is easy to use and lets us quickly read test results by the next day. The CBT Kit is small and easy to carry into the field.